As head of the Criminal Studies department at the University of Wessex, Doctor Tudor Cornwall has murder on his mind. One violent death that has always bothered him is the killing of Alec D'Urberville in the Thomas Hardy novel Tess of the D’Urbervilles. He therefore decides to rewrite Hardy’s account in the style of that author’s contemporary, Sir Arthur Conan Doyle. This task is complicated by a real-life contemporary murder that bears some uncanny resemblances to the nineteenth century fiction. With the help of his brilliant young postgraduate favourite, Elizabeth Burney, Doctor Cornwall sets about unravelling these two parallel mysteries. 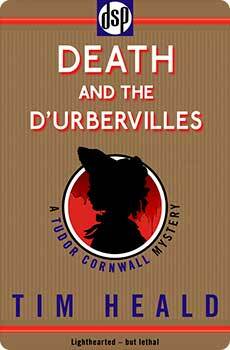 Death and The D’Urbervilles is the second of the three witty and observant Tudor Cornwall mysteries, preceded by Death and The Visiting Fellow and followed by A Death on The Ocean Wave.